Are you looking for a doctor who is passionate about what they do and loves working with people? Someone who will truly listen and care about you and your children? A doctor who will prescribe effective and safe natural remedies and offer support and guidance. Dr. Emily Miller, ND may be the right doctor for you. With many years of experience as a primary care doctor, Dr. Miller currently specializes in Naturopathic Pediatrics and Family Healthcare including Woman’s Health. She is passionate about working with new parents and educating her patients to make healthy choices. She offers well-child visits, individualized vaccine consultations, hormonal testing and natural treatments including herbs, nutrition, bioidentical hormones and natural thyroid hormone. **Check out our new Well-Child Package Deals on the Your Appointment page!! 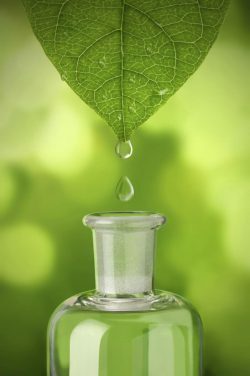 Naturopathic philosophy is to always look for underlying cause and to treat the body as a whole using the safest, natural, and effective treatments available. At The Luna Center for Natural Health, Dr. Miller works diligently to offer every patient the time and care they need to feel truly supported. Her treatment protocols are effective, safe, and gentle on the body and also based on up-to-date scientific research. She offers every patient, parent, and family individual attention and guidance. You have the power to change your health and the health of your family. Contact us today! Dr. Miller specializes in pediatric and adult care treating conditions such as Atopic Dermatitis, Adrenal Fatigue, Thyroid Disease, Depression, Anxiety, Infertility, Chronic Pain and Fatigue, Lyme Disease, PMS, hormonal imbalances, and chronic diseases such as Hypertension and High Cholesterol. Dr. Miller also uses Natural Medicine to treat ailments such as sore throat, ear infections, and colds and flu. The Luna Center for Natural Health offers a peaceful office atmosphere in the heart of Dover, NH and serves families and individuals from New Hampshire, Maine, and Northern Massachusettes. To meet Dr. Miller, you may email her directly or call the office to schedule an appointment. 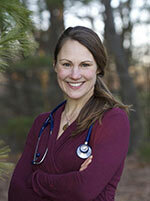 I am thrilled we have such an incredible naturopath right here in Dover! Dr. Miller has impressive credentials, an expansive breadth of knowledge, and an attentive and encouraging manner. She really listens carefully to patients, remembers their cases from visit to visit, evaluates thoroughly, and provides a variety of options for treatment. I’ve seen her regularly for 2 years, and with her help and guidance, I’ve recovered my health and found a balanced life. I cannot recommend her highly enough. Dr. Emily Miller is extremely knowledgeable and it is immediately obvious upon meeting her that she is an expert in her field. She has a great bed side manner and explains why issues are happening in addition to focusing on making her patients feel better. I cannot recommend her enough.